A new identity and a comprehensive launch and marketing plan were needed to bring this wonderful organization into the hearts and minds of the public. The nested, concentric “O” forms suggest nurturing and care, while their arrangement and graduated sizes suggest growth toward independence. 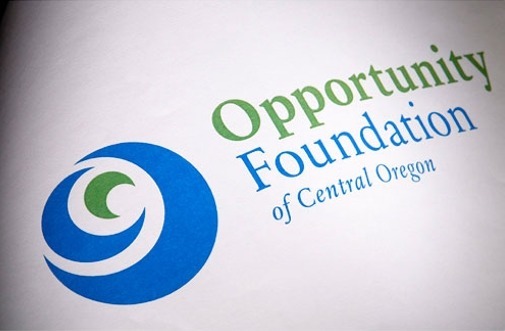 The marketing plan created for the Foundation has greatly increased awareness of the organization and has helped their lumber mill, custodial business and thrift stores grow. This logo won a Drake award.